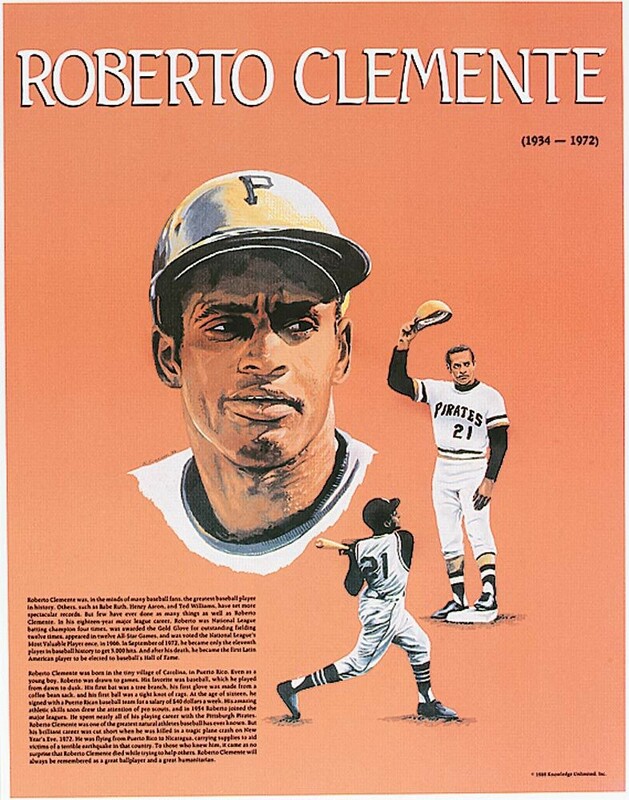 This poster of Roberto Clemente features a striking image and a concise biography to introduce students to this great Latino baseball player and humanitarian. 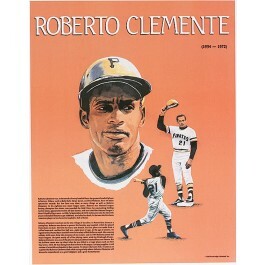 Roberto Clemente started playing baseball in his village in Puerto Rico, using a tree branch as a bat, and a glove from a coffee bean sack. From these humble beginnings he became one of the greatest baseball players in history. But his brilliant career ended tragically when he was only 38 years old. He died in a plane crash while flying to Nicaragua, bringing supplies to victims of an earthquake.